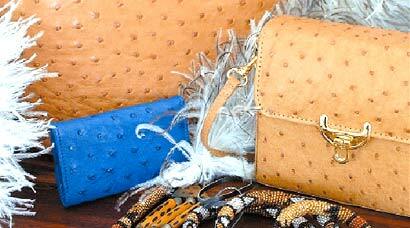 Our spacious curio shop specializes in all kinds of hand crafted Ostrich curio products. We stock a wide range of high quality purses, wallets, handbags, belts, etc. Feather boa's and dusters are extremely popular and we always have a nice variety of African art and smaller curio's.